Welcome to Brend Hotels, Winner of ‘Hotel Group of the Year’ in the AA Hospitality Awards 2015-16. Our collection of luxury hotels in Devon and Cornwall includes 11 fabulous hotels and 18 restaurants. Each hotel is totally individual and yet each offers the same exceptional service and care we have come to be known for in the South West. Our hotels are in wonderful locations, some have spectacular sea views, some are retreats in vibrant Devon towns. Brend Hotels is a family-run company that has been a leader in West Country hospitality for over fifty years. We have a passion for excellence and we pour our hearts and souls into making sure we exceed your expectations. As a family run business, we are proud of our heritage. With our generations of hands-on experience, we know what matters to you and we pull out all the stops to make sure you have an amazing time. Whether you spend your stay with us soaking in a hot tub and relaxing in a sauna, taking in the coastal views while playing a round of golf or dining in one of our exceptional restaurants, we’re sure you won’t forget us in a hurry. Our portfolio of hotels in Devon and Cornwall exudes luxury, and our dedicated staff will go the extra mile to ensure your stay is truly memorable. We have a wonderful team of highly experienced chefs who have worked tirelessly to create fresh and innovative menus at all of our restaurants, serving local and seasonal West Country produce all year round. 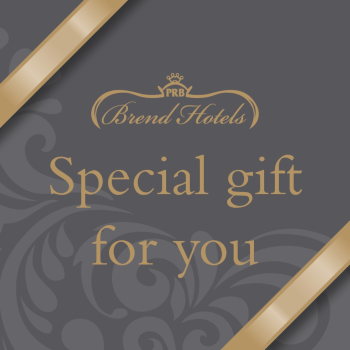 So, come and discover Brend Hotels for yourself to see what all the fuss is about.